Pensions have barely been out of the news over the last few years. Whether it’s companies ending their generous final salary schemes, funds that are worth a fraction of what was hoped for or simply that 7 million people have inadequate pension provision in place. The Government’s auto-enrolment scheme has been designed to tackle the growing pension crisis. It’s already underway, but if your company is yet to begin the process what are the key factors to keep in mind to ensure everything goes smoothly? 1. Is The Company Ready? Not all companies have to start auto-enrolment at the same time. There are a number of staging dates, and where your company falls on the schedule depends on payroll size among other factors. A quick look at the Pension Regulator’s site will let you know when you have to provide auto-enrolment. You will be contacted 12 months before your staging date, however to save yourself headaches it’s much better to take proactive steps to getting everything ready for the big change. 2. Who’s Eligible? 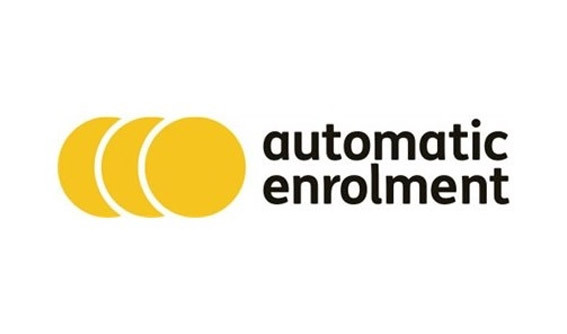 Essentially any employee between the ages of 22 and state pension age who earn above the Personal Allowance limit must be put on auto-enrolment within 3 months of their start date. Of course they can opt out of the scheme but it’s vital that you not sway their decisions. To do so could mean facing hefty fines. Some other employees who do not qualify for auto-enrolment can still join the scheme on a voluntary basis. Therefore it’s crucial to assess all employees and let them know their rights on an individual basis. 2% of band earnings of which you must pay at least 1% – until 01st October 2017. 5% of band earnings, of which you must pay at least 2% – from 01st October 2017 until 30th September 2018. 8% of band earnings, of which you must contribute at least 3% – from 01st of October 2018 on. You can of course pay more than the minimum contribution along with your employees, but these are the legal minimums. 4. Does My Existing Scheme Qualify? If you have a current pension scheme in place it may be that it meets the standards set for auto-enrolment. If it does then you can continue to use it for those signed up. It may need to meet further criteria for new starters. You should seek guidance on this, and see how your existing scheme needs changing to meet all necessary criteria. 5. Do I Need To Notify Anyone? Aside from your employees, who will need to be informed about auto-enrolment and what it means for them, you also have to register the scheme with the Pension’s Regulator. You can do this online via their website. Although auto-enrolment may seem like a burden, especially if your company doesn’t already operate any kind of pension scheme, it’s important to see this as an investment in your staff. With more people worrying about retirement provision, and often confused by the murky world of pensions and savings, this offers them an easy way to begin saving for their old age. If you’re concerned about auto-enrolment and how to handle it, contact HW Fisher. Their team of experts can answer any questions you have on auto-enrolment pensions.